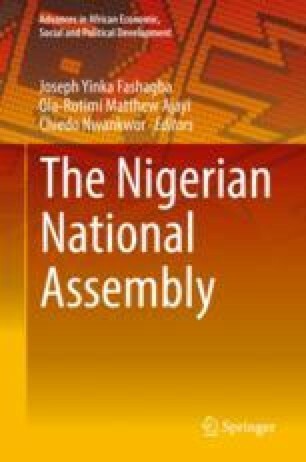 Relations between and among arms of government, particularly executive-legislature, is discussed within the context of democratic system of governance. This is because in other forms of government, the three arms of government are hardly separated. In non-democratic governments, executive and legislative functions and powers are mostly fused and interlocked. In other words, the powers of the arms of government, particularly the executive and legislature are mostly exercised by one institution, be it the king (in an absolute monarchy), the military ruler (in a military regime) or even members of the communist party (in a socialist regime). This is not however, to suggest that all forms of democracies guarantee separation of executive and legislative functions and powers. Essentially, some democratic systems of government also fuse the executive and legislative functions and powers as well as the personnel of government. The parliamentary system of government, for instance, typically assigns overlapping and concurrent functions to both the executive and the legislature. More so that members of the executive can also serve as legislators concurrently. This kind of arrangement, it is argued, does not institutionalize checks and balances required for accountability, transparency and probity in the management of public affairs.